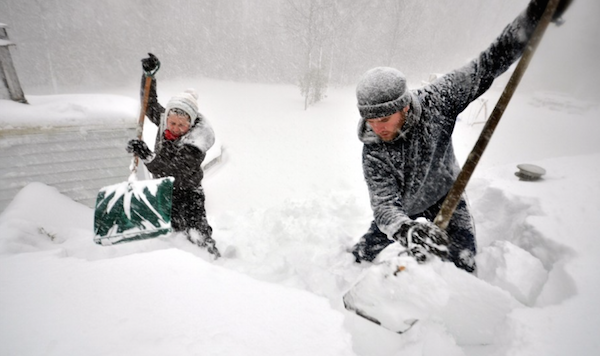 Today’s Washington Post (November 20, 2014) featured dramatic photos of the severe snowstorm that is severely affecting the residents of Buffalo NY. The storm dropped over 5 feet of snow, stranding drivers, trapping folks in their homes and several Buffalo residents were killed. Our thoughts and prayers are with the citizens of Buffalo. To view the photos on the Washington Post web site, click here. Rock Salt & Ice Control HQ and The Duke Company are standing by to assist with wholesale salt, rock salt, Ice Melt & Deicers, Snow Plow Accessories, Heater Rental and snow removal equipment (including Wheel Loader Rentals, Backhoe Rentals, Skid Steer Loader Rentals, Toro Dingo Rental, and Skid Steer Loader Rental). Please call 607-347-4455 and 585-292-9870 for prompt service.